It’s a wildly windy May day on the rocky bank of Milford Reservoir, the largest body of water in Kansas. My husband, Kyle, is baiting my hook with a wriggling worm. Before I know it, I’m reeling in a crappie that feels even bigger than it looks. Kyle hits the jackpot when we settle on large rocks at the edge of Milford State Park, where he catches a large wiper with his six-hook lure. Milford Reservoir is a favorite among regional anglers, and for good reason: It’s well-stocked thanks to the hatchery at the nearby Milford Nature Center. 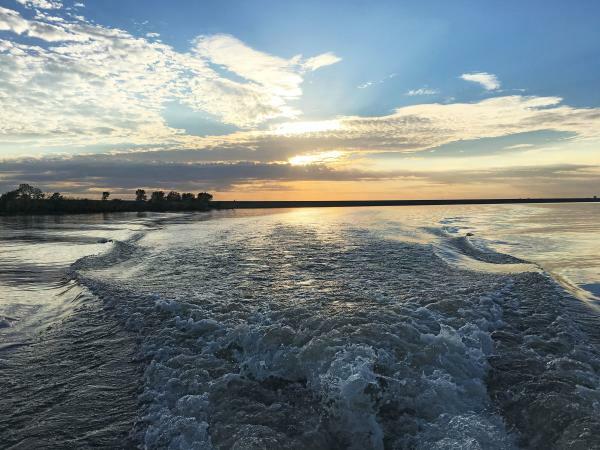 By bank or boat, you’ll find plenty of catfish, walleye, and smallmouth and largemouth bass—in addition to the wipers and crappies—swimming around its 15,000-plus acres. And furnished cabins at the on-site Acorns Resort make it an easy getaway. Although the hiking, kayaking and fishing offer plenty of fun in Hillsdale State Park, the big draw is the 30-plus miles of equestrian trails. Saddle up at S&S Stables and ride atop one of 15 experienced (and thus, mellow) horses along some of the 51 miles of shoreline. Enjoy Wiener schnitzel (hand-breaded pork loin), Weisswurst (Bavarian-style white sausage) and homemade dessert at Beethoven’s No. 9 restaurant in Paola. Whether the goal is pitching a tent or hooking up your RV, there’s plenty of room for everyone at Clinton State Park, with its sandy beaches and chromatic sunsets. Stay at one of 383 campsites (more than half with water and electricity) less than 9 miles southwest of Lawrence. Boat, kayak and paddleboard rentals are available at the marina. Seven El Dorado State Park trails (ranging from a half mile to 12 miles) offer unique views of the water, woods and the Flint Hills. The 2-mile Double Black Diamond Trail provides a roller-coaster trek via foot or mountain bike along the Walnut River. 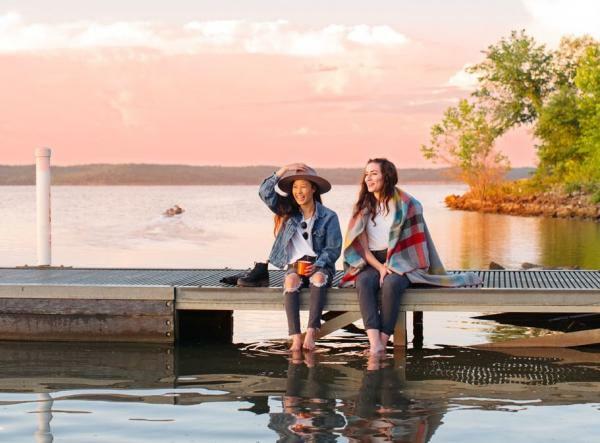 Pack a sleeping bag and make a weekend of it at the second annual Dam Music Festival, July 27–28 at El Dorado State Park. 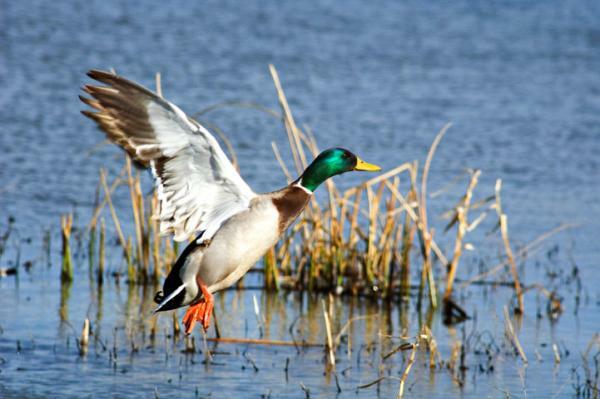 Last year’s event starred Lynyrd Skynyrd and Hank Williams, Jr.
Paddlers, boaters and water skiers enjoy this northeast lake in warmer months, but there’s just as much activity in the fall and winter, when waterfowl hunters flock to the 160 miles of shoreline. More than 20,000 acres of public land—much of it marshy—surround the lake, making it a perfect place to hunt ducks and geese. 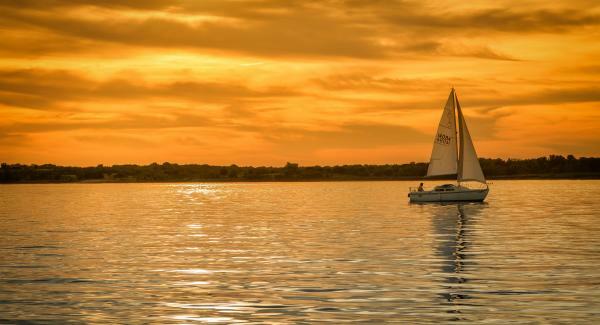 Come sail away on this south-central lake, considered one of the best sailing lakes in the country. Whether you’re a regatta regular or just getting started, 9,500 acres of windswept water offer plenty of space to explore. 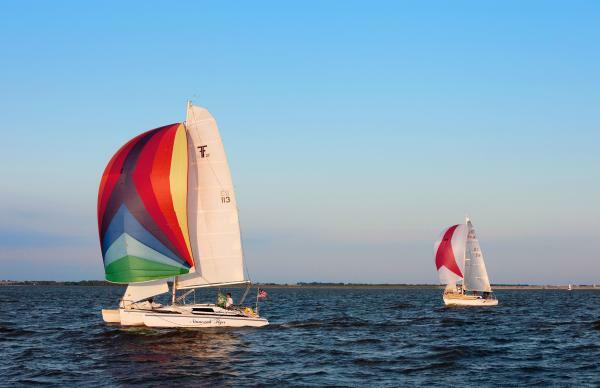 For a multiday lesson or a sailboat ride, check out the Ninnescah Sailing Association on the lake’s west shore. Cheney State Park’s nine modern cabins feature excellent lake views and amenities, including air conditioning and microwaves. A beach and swimming area sit within walking distance. Explore a lineup of the state’s natural wonders here, and check out the 2018 Kansas Official Travel Guide for more outdoor adventures.